The word of the day is "LOVE"! 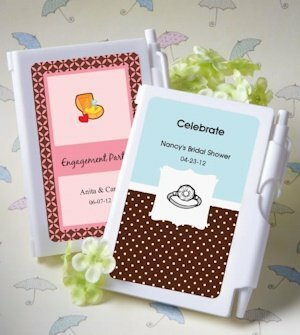 Share that sentiment with your friends and family using our notebook personalized wedding shower favors. 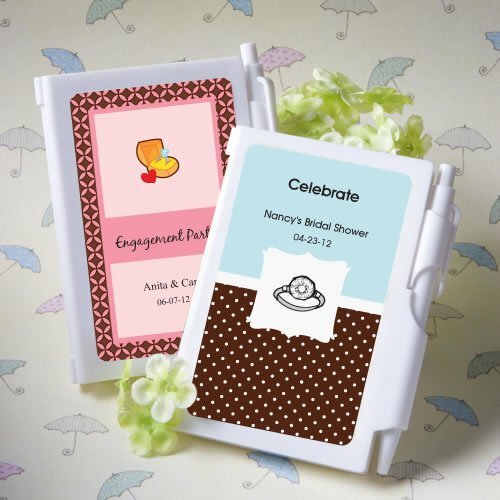 Perfect for your bridal shower or engagement party, each 3 1/4" x 4 1/4" notebook favor opens to reveal a blank white notepad inside and an easily accessible white pen attached.